There have been numerous campaigns over recent years aimed at empowering young women both on a personal level, as well as in terms of opening up career opportunities in roles traditionally seen as being in the male domain. However, the proof of the pudding is in the eating (we are the National Trust after all!) and at our Shugborough Estate, it is great to see these changes in gender perception taking place first hand. Since taking over the management of the estate from Stafford County Council in November 2016, Shugborough has been growing its teams in response to increasing visitor numbers. What has been noticeable during the recruitment process is the number of applicants who are applying for roles outside the traditional gender perception. Case in point is our Outdoors team, where the 'we can do it' attitude has been at its most apparent with a female Senior Gardener, two female Rangers and one female Farm Worker joining what was previously an entirely male team. This has resulted in a much better balance, with each gender bringing its own unique benefits to the overall team. 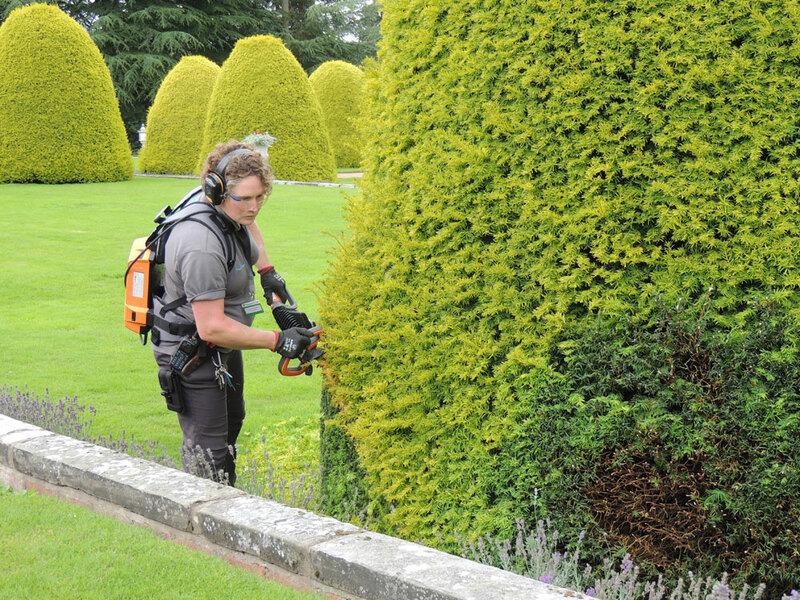 Caroline Beacall, Senior Gardener, is the first female Senior Gardener to be employed in the history of the Shugborough Estate and is already making a significant impact in bringing the estate up to and above standard with her Gardens team. 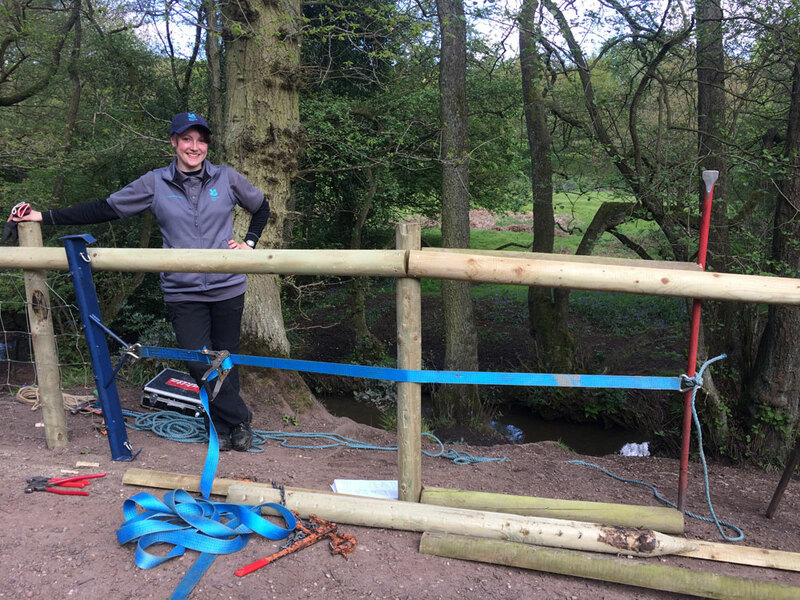 Emma Franks and Elaine Ingram smash the traditional perception of a Ranger and can frequently be seen around the estate and other Staffordshire countryside sites donning Kevlar PPE with a chainsaw in hand! Meanwhile, Kirsty Down, our Farm Worker, thinks nothing of hopping into the tractor, or herding our longhorn cattle. Like our other ladies she gets stuck into what are not always the most glamourous of jobs on the estate, particularly where farm animals are concerned! So what made them apply for these roles in the first place? It seems that a love of the outdoors is a common thread. Caroline left a successful retail career to pursue a career in gardening after seeing an article in The Telegraph about Careership within the National Trust (a three year trainee programme which provided skills and experience for future Senior Gardeners). She already had a big interest in gardening and had an allotment, but with a Careership she was then able to get all the supporting skills and knowledge to make gardening into a successful career. Conversely, Emma wanted to be a Ranger from a very early age, borne from positive childhood memories when she visited Dunham Massey with her parents and grandparents (all of whom are lifelong National Trust members). She remembers frequent visits where she watched the Rangers at work and later went on to be a Volunteer Ranger at Dunham Massey where the ambition to be a Ranger was realised along with getting to drive a coveted National Trust Land Rover! Kirsty grew up in farming, although she laughs as she recalls how she originally wanted be a zoo keeper! Having studied at Harper Adams University, she went on to work in a zoo, but found she didn’t like it. 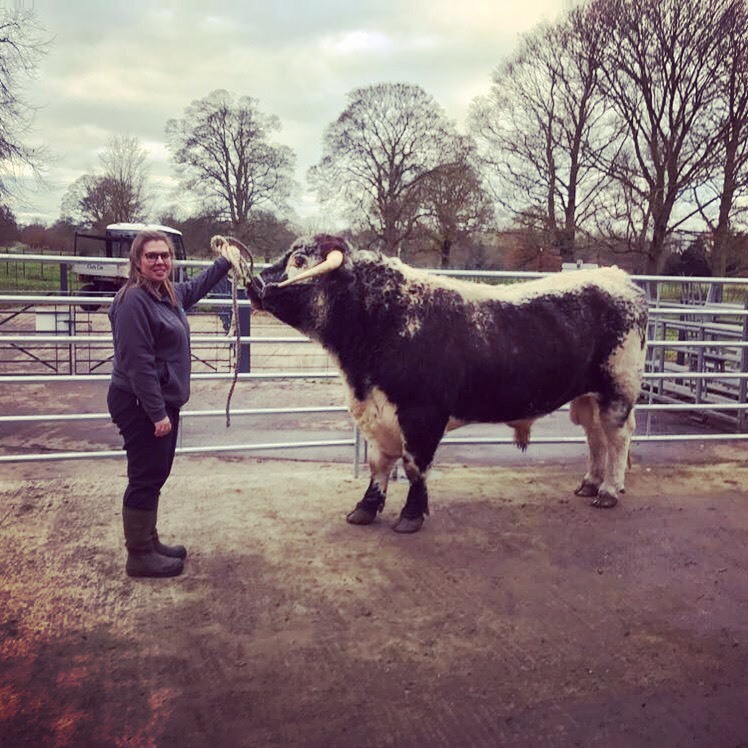 There followed a six month farming placement at Tatton Park where she fell in love with the idea of the home farm, conserving rare breeds and educating people about conservation. She then volunteered at various farms until being appointed at Shugborough. Elaine always loved the countryside as a child, but found studying environmental sciences didn’t suit her, being a more practical learner. After a short career in an office she gave that up to follow her dream of working outdoors. Following stints as a volunteer she then became a Conservation Trainee with her local Wildlife Trust, which provided some of the training and experience she needed to pursue her career in conservation and the rest, as they say, is history. When asked if the increase in women in these roles was due to a generational shift in attitude, all the ladies felt that this was definitely the case and although women are still a minority in some professions, the younger generation were now starting to come through. They also felt that it was now more acceptable for women to be in these roles and although still predominantly male dominated in many National Trust outdoors teams, there had been a definitive shift. Kirsty felt that the National Trust had a reputation for promoting topical issues and that this shift was evidence of the success of this. In light of this being a changing landscape (pardon the pun! ), has any of them experienced any prejudices in their roles? Caroline felt that there was an honesty within the National Trust in terms of sexism and none of them had negative experience of this, even when working as a minority within a team. Kirsty stated that people in the National Trust wanted you to enjoy the job as much as they did. Elaine added that they did the same work and male/females didn’t get treated differently even though others from outside the National Trust may, as she recalled a delivery driver who had doubted her ability to lift a delivery. So given the success of their ventures so far, what advice would they offer to other women who are considering similar roles? “Go for it!” exclaimed Elaine. There are many schemes and learning opportunities including the Academy Ranger scheme and apprenticeships for gardeners HGBGS (gardens) available. Their advice is to gain experience through volunteering or maybe take part in one of the many National Trust working holidays available and then look into what courses might be available to them. Farming can be a little more difficult to find, but take any opportunity and take whatever path is offered as it may lead you to where you want to be. Doors open in unexpected places! More opportunities exist than you think in various aspects of the roles. Join local conservation groups, etc. to show an interest and learn more. Synergy within various conservation groups can also lead to great networking opportunities. Another tip from the team, don’t be scared of using power tools – they may seem daunting but confidence comes with experience! When asked what was their favourite part of the their job, everyone agreed that they gained great job satisfaction and reward through the variety of tasks they undertook as well as seeing tangible differences that their role made. This ranged from watching healthy lambs and calves being born, improvements in the landscape and gardens, but most importantly being able to provide interest and pleasure to people through what they do. Not only that, but being outdoors is a healthy option with no need to join a gym! People also play a big part in job satisfaction and Caroline felt she had learnt much from others through both interaction and proximity, something we actively encourage! However, they caveated that dealing with volunteers and visitors is not for everyone and that you do need to enjoy this important aspect of the role as staff are ambassadors for the National Trust and all it stands for.